Microscopic plastics infiltrate Arctic sea ice with unknown consequences for the ecosystem. The Great Pacific Garbage Patch between California and Hawaii might evoke images of a trash heap floating on the ocean, but it consists of particles too small to be seen by the naked eye. Those particles are plastic. Fifty years ago, global annual plastic production was less than 50 million tons; in 2015, production was nearly 450 million tons. Every year, between 5 and 14 million tons of plastic reach the ocean, and that is just from coastal regions. Plastic polymers are molecular chains that repeat the same simple links. Common examples include polyester clothing, nylon toothbrushes, polycarbonate DVDs, and polyethylene shopping bags. Besides everyday conveniences, plastics such as inflatable life vests and single-use medical devices save lives. Plastics are inexpensive, lightweight, and durable, but their durability poses a problem because they take several hundred years to decompose. Scientists now wonder about the effects of plastics on wildlife and human health. In the ocean, wind, waves, temperature swings, and sunlight break plastics into microscopic bits. In 2004, marine ecologist Richard Thompson coined a term for these particles: microplastics. Anything smaller than five millimeters (about a fifth of an inch) is considered a microplastic, but microplastics can get much smaller—down to a fraction of the width of a human hair. Even biodegradable plastics leave microplastics behind, and microplastics reach locations as remote as the Arctic. The smallest plastic particles are best measured in microns and nanometers. A millimeter is a thousandth of a meter, a micron is a thousandth of a millimeter, and a nanometer is a thousandth of a micron. For reference, a human hair is somewhere around 50 to 75 microns in diameter. What constitutes a nanoplastic is still debated, but is probably anything less than a micron across, and getting eaten and excreted by some animals can push plastics from one category into another. Passing through a small gut might break particles with a diameter of 31.5 microns down to a single micron across. Peeken explained what is so scary about these tiniest plastics. “They’re able to penetrate cells,” she said. Geir Wing Gabrielsen of the Norwegian Polar Institute echoed Peeken’s concerns, saying, “Nanoplastics embedded in phytoplankton get eaten by zooplankton and then by fish. 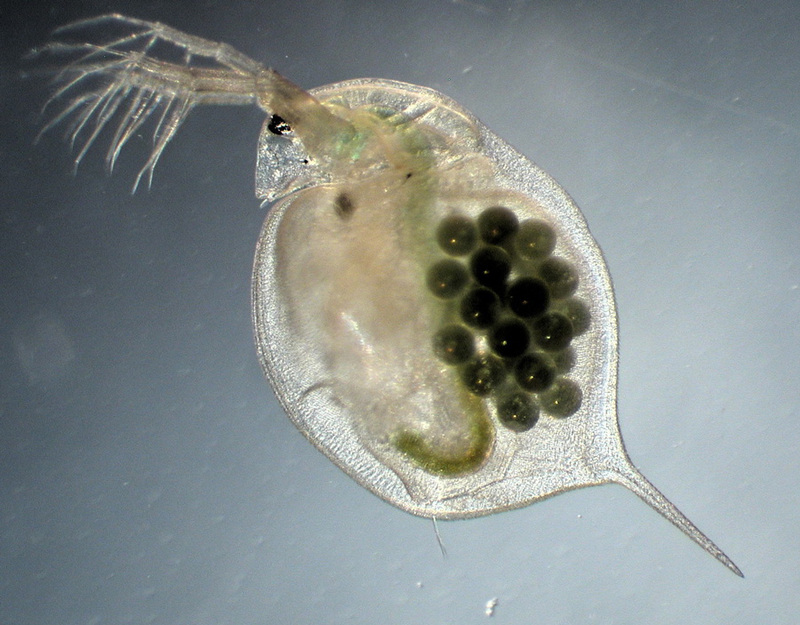 Those particles are getting into the fish’s blood, passing through the blood-brain barrier, and affecting behavior.” Research has already shown nanoplastic-induced mortality in small crustaceans, and brain infiltration in fish. Other effects remain poorly understood. 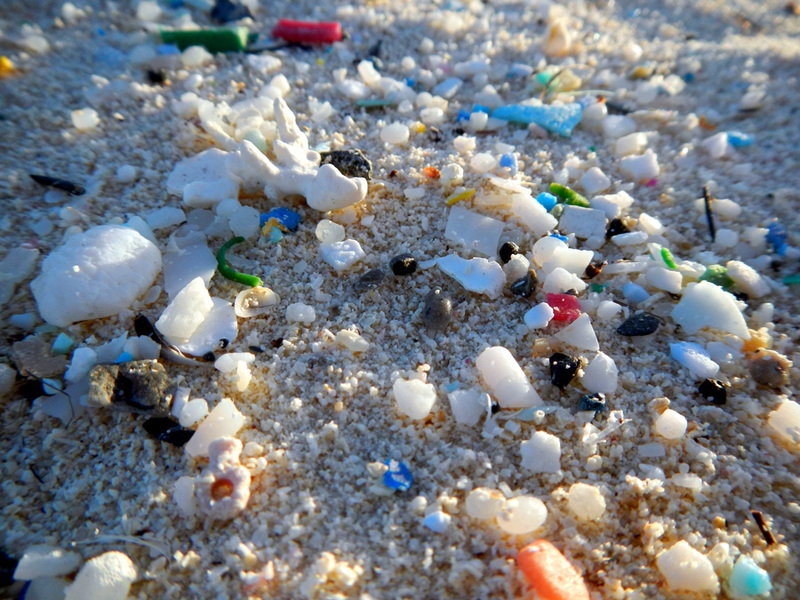 What is no longer mysterious is how widespread microplastics have become in global oceans. In June 2014, and June and August 2015, the German icebreaker Polarstern collected ice cores from five locations. The expeditions drilled cores in sea ice in Fram Strait, north of Svalbard, and in the Nansen Basin. One of the locations in Fram Strait was from landlocked ice; the others were from drifting ice. Back at the lab, researchers cleaned the cores from the outside then let them melt. Next, they filtered the water and subjected the particles to infrared radiation. “Once you bombard each particle, it has a certain absorption or reflection, and that allows you to identify the optical fingerprint of each type of microplastic. It’s different for paint particles versus fishing gear particles,” Peeken said. Peeken’s team found up to 12,000 particles per liter of sea ice—two to three orders of magnitude higher than the findings of a previous study that relied more on visual inspection. Most of the microplastics Peeken’s team found were smaller than 50 microns across, and the infrared microscope could detect particles as little as 11 microns. That was not down to the level of nanoplastics, but it was a more in-depth sample than in the previous study. Peeken and her colleagues were surprised at the quantity of microplastics. “We found huge numbers compared to what is in the water column,” she said. Sea ice accumulates more than its fair share of microplastics, a process known as enrichment. The ice cores were illuminating, but they only told part of the story. Sea ice does not circulate as quickly as seawater, but it does travel. All the ice cores Peeken’s team examined were collected along the Transpolar Drift, part of a larger circulation pattern in the Arctic. 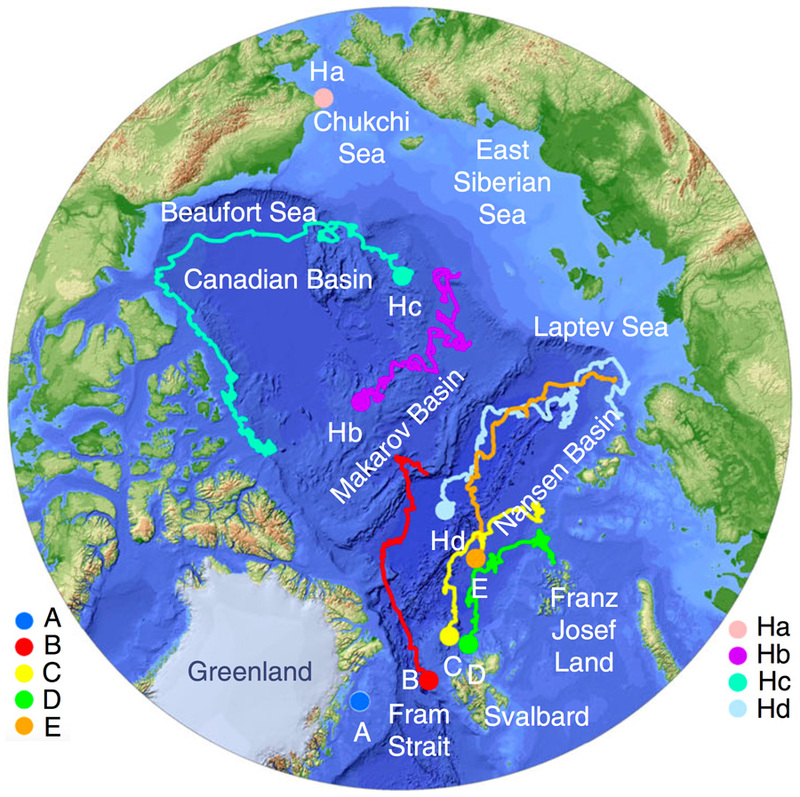 Except for the landlocked ice core, the cores did not form where they were extracted—different core sections came from different parts of the Arctic Ocean. Movement through the Arctic is complicated, but in a rough sense, water enters the Arctic from the Pacific, traveling through the Bering Strait. Water and ice exit the Arctic via the Fram Strait east of Greenland. 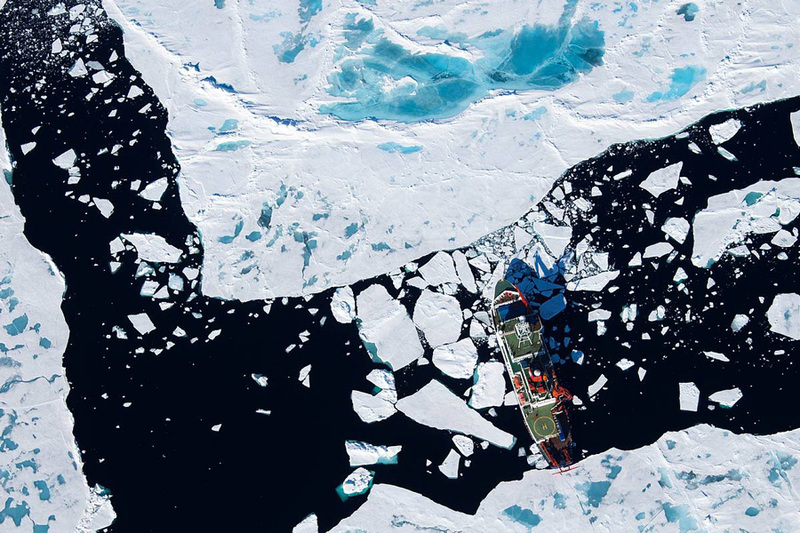 NSIDC DAAC sea ice data sets enable researchers to better estimate ice location at a particular time. Combining ice core samples and backtracked ice movement enabled the researchers to identify microplastic sources. “You can envision the ice formation depending on where the ice travels,” Peeken said. “We found extremely high polyethylene in the central Arctic.” These are plastics used in bags and packing material, and the most likely source is the Great Pacific Garbage Patch. “What we totally didn’t expect was to have such a huge variability with the polymer types,” she said. Instead, the team found over a dozen different plastic polymer types, including polymers linked to paint and nylon, likely originating from sources in the Arctic, where transport and fishing are on the rise. Increased human presence is becoming more apparent in the Arctic Ocean. Already modeling studies suggest another garbage patch may be forming in the Barents Sea north of Siberia. Toxicology specialist Gabrielsen was not involved in Peeken’s study, but he was as surprised as Peeken at the high numbers of nanoplastic particles, especially in the Fram Strait. As the Arctic’s exit ramp, the Fram Strait is the conduit for nearly all the plastic contamination in Arctic sea ice. He now wonders how much plastic animals living in and on the ice are consuming. “It’s something we really need to clarify,” he said. Alfred Wegener Institute. AWI researchers measure a record concentration of microplastic in arctic sea ice. Accessed August 27, 2018. Bluhm, B. A., H. Hop, M. Vihtakari, R. Gradinger, K. Iken, I. A., Melnikov, and J. E. Søreide. 2018. Sea ice meiofauna distribution on local to pan-Arctic scales. Ecology and Evolution 8(4). doi:10.1002/ece3.3797. Dawson, A. L., S. Kawaguchi, C. K. King, K. A. Townsend, R. King, W. M. Huston, and S.M. Bengtson Nash. 2018. Turning microplastics into nanoplastics through digestive fragmentation by Antarctic krill. Nature Communications 9: 1001. doi:10.1038/s41467-018-03465-9. Gigault, J., A. ter Halle, M. Baudrimont, P.-Y. Pascal, F. Gauffree, T.-L. Phi, H. El Hadri, B. Grassl, S. Reynaud. 2018. Current opinion: What is a nanoplastic? Environmental Pollution 235: 1,030-1,034. doi:10.1016/j.envpol.2018.01.024. Law, K. L., R. C. Thompson. 2014. Microplastics in the seas. Science 345(6193): 144-145. doi:10.1126/science.1254065. NOAA Marine Debris Program. What we know about plastic marine debris. Accessed October 29, 2018. NOAA National Ocean Service. The Great Pacific Garbage Patch. Accessed August 27, 2018. Parker, L. 2018. We made plastic. Now we’re drowning in it. National Geographic. Accessed August 27, 2018. Peeken, I., S. Primpke, B. Beyer, J. Gütermann, C. Katlein, T. Krumpen, M. Bergmann, L. Hehemann, and G. Gerdts. 2018. Arctic sea ice is an important temporal sink and means of transport for microplastic. Nature Communications 9: 1505. doi:10.1038/s41467-018-03825-5. Thompson, R. C., Y. Olsen, R. P. Mitchell, A. Davis, S. J. Rowland, A. W. G. John, D. McGonigle, A. E. Russell. 2004. Lost at sea: Where is all the plastic? Science 304(5672): 838. doi:10.1126/science.1094559. Tschudi, M., C. Fowler, J. Maslanik, J. S. Stewart, and W. Meier. 2016. Polar Pathfinder Daily 25 km EASE-Grid Sea Ice Motion Vectors, Version 3. Boulder, CO USA. NASA National Snow and Ice Date Center Distributed Active Archive Center. doi:10.5067/O57VAIT2AYYY.